As a navigator, part of Prestud's duties were to devise a simple and accurate means of navigation during the polar journey for the use of those non-specialists in the South Pole party. Amundsen was secretive about his real attentions with regards of the Fram expedition to Antarctica in 1910, the only people to know in advance were his brother, and the ship's commander, Lieutenant Thorvald Nilsen. Lieutenant Prestrud and one other of the crew, Gjertsen, were trusted with the information on the eve of the Fram's departure from Norway. The rest of the crew of 18 were only told at Fram's stop-over at Madeira. 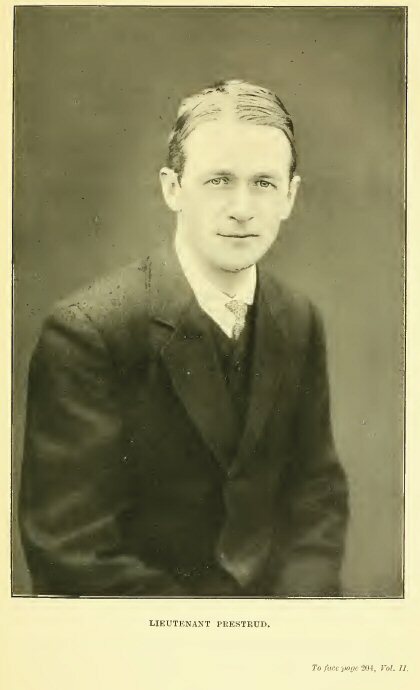 Once in Antarctica, Prestrud was part of a party of eight on an unsuccessful attempt to reach the South Pole in September 1911. The return to the ships winter quarters, known as Framheim, was conducted in some disarray, Prestrud and Johansen being the last two to arrive some six hours after the others. 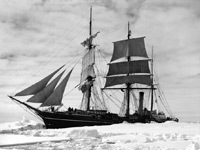 Prestrud may have frozen to death if Johansen had not taken care of him and brought him back to the ship safely. Prestrud was not taken on the next attempt on the pole, the party was reduced to six men this time. Instead Prestrud was ordered by Amundsen to take a small party and explore King Edward VII Land. On their return to Norway, all the crew were treated as heroes. Prestrud was promoted to Captain in the Norwegian navy and taken into the King's household where he became the companion and tutor of the Crown Prince. He later was appointed as a Air and Naval Attache to Britain and France. On his retirement from service he returned to the family farm called Prestrud Herrgaard. He was married and fathered a son and daughter (twins). Sadly he took his own life in 1927. What follows is from a phone conversation with Lars Prestrud, a nephew of Kristian Prestrud. Lars is puzzled by his uncle's suicide. He reported that "he was not a melancholy man". My own excursions into the family's history began with my young daughters' questions about whether there were any famous people in our family. I had replied rather casually that we were probably all farmers (I might have said peasants) and fishermen. As it turns out, "landed gentry" might be a better description since several farms of good size were acquired by the family and many members became government officials, military officers, and teachers. Further, I have become convinced that most of the Prestrud men have been either smart enough or lucky enough to marry smart and capable women. The name "Prestrude" in its various spellings is not common either in Norway or the United States. I have located Prestrud/es in North and South Dakota, Montana, Washington, Wyoming, Colorado, Minnesota, New York, North Carolina, California, and West Virginia. Less than half have responded to my inquiries. Some I know are deceased. I believe that we are all related in some fashion. Both my family and that of Lars Prestrud claim to have come from Prestrud at Hamar and relationship to Kristian Prestrud. Lars' father, Peter Prestrud, was a brother to Kristian. He migrated to Colorado where, after several kinds of work, he became known for his ski jumping and became a contractor building ski jumps. He is credited with being one of several people who established ski jumping as a sport in the US and is in the Colorado and US ski jumping Halls of Fame. Description: A peak over 2,400 m which rises from the south-western part of the massif at the head of Amundsen Glacier, in the Queen Maud Mountains. In November 1911, a number of mountain peaks in this general vicinity were observed and rudely positioned by the South Pole Party under Roald Amundsen. 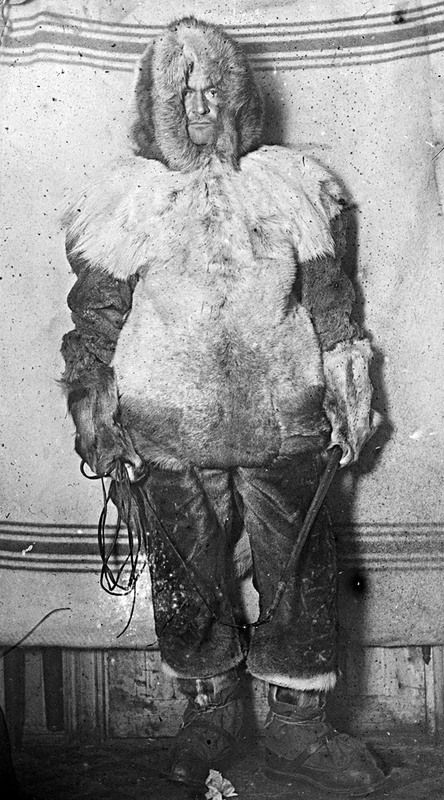 Amundsen named one of them for Lieutenant K. Prestrud, first officer of the Fram and leader of the Norwegian expedition's Eastern Sledge Party to the Scott Nunataks. The peak described was mapped by the U.S. Geological Survey (USGS) from surveys and U.S. Navy aerial photography, 1960-64. For the sake of historical continuity, the Advisory Committee on Antarctic Names (US-ACAN) has selected this feature to be designated Mount Prestrud. 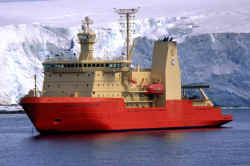 Description: A re-entrant in the S side of Edward VII Peninsula, at the NE corner of the Ross Ice Shelf. Named by the U.S. Antarctic Service expedition (1939-41) in honour of Lieutenant K. Prestrud, leader of Amundsen's Eastern Sledge Party in 1911 who was first to traverse this region.